The dunes have existed in the area for over 100,000 years. The area is strikingly at odds with the rest of Japan which is known more for its humidity and rain. Technically, it's not a desert (far too much rain), but the temperature of the sand can easily soar above 50C (120F) on sunny summer days. Around 16 hardy species of plants and a couple of animals live on the dunes. Due to the propagation of invasive plants, weeding programs were started to maintain the natural ecology. 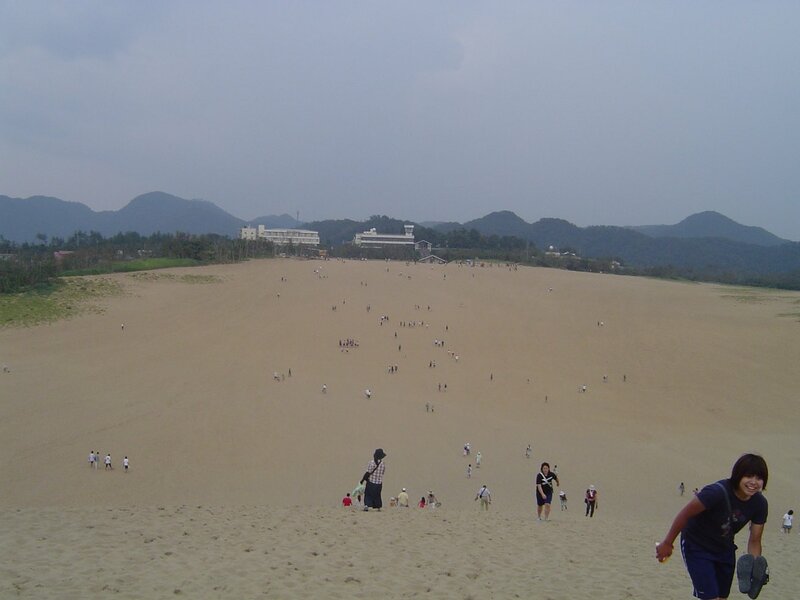 The highest dunes reach around 90 meters above sea level. The main ridge near the bus center by the ocean is around 40 meters high. 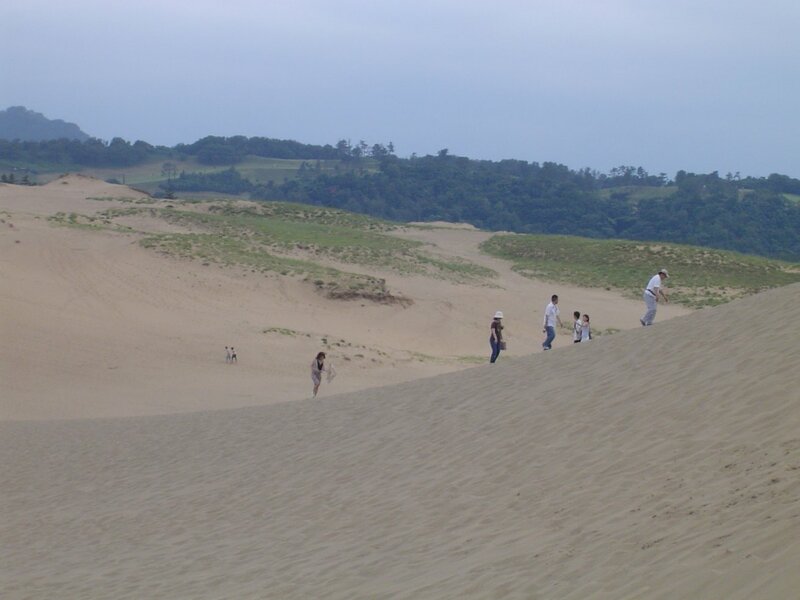 The dunes here can reach 40 degree slopes because of the moist conditions. 30-34 degrees is normal for true desert dunes. 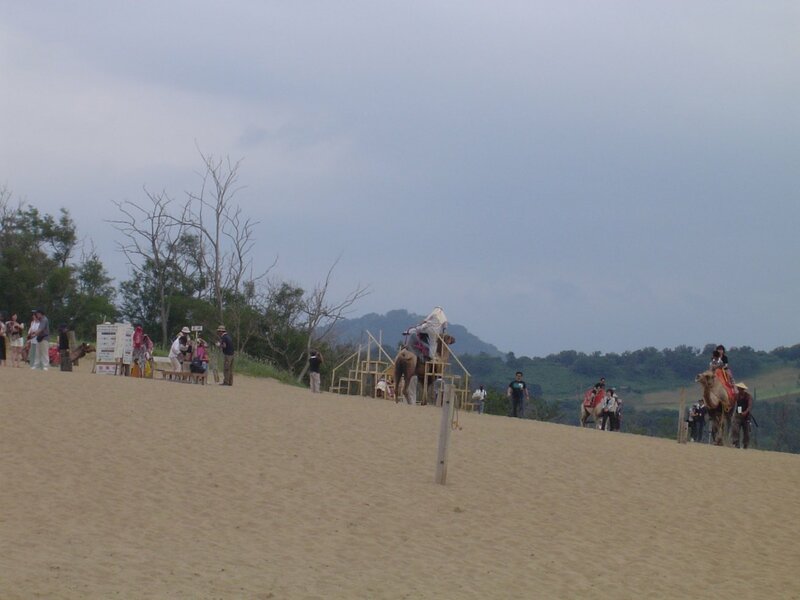 Most people just walk out onto the dunes and back, but there are a number of different activities offered on the dunes. If you're looking to tour around the desert in style then there are two types of rides: camel and donkey. The camel ride is short and expensive. The donkey cart ride is a bit longer and less expensive. 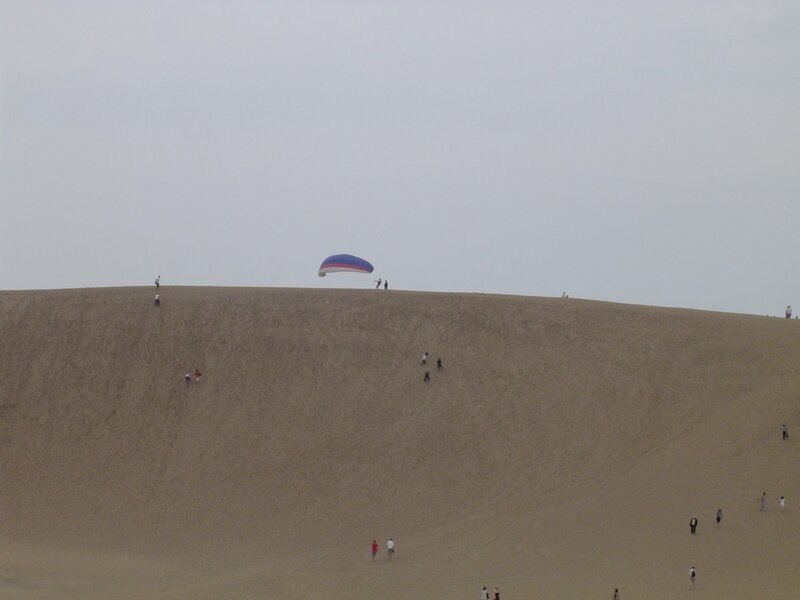 The strong prevailing winds off the Sea of Japan makes paragliding off the tops of a dunes a popular way to get a unique perspective on them. The best time of view the dunes is in the morning before other tourists have trampled out the ripples. 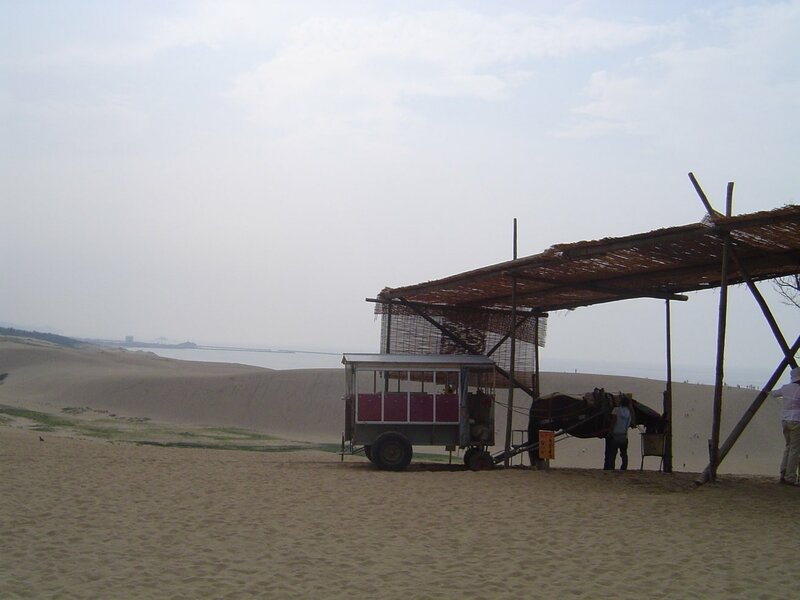 During the afternoon, the temperature of the exposed sand has reached 64C (150F). On most days, walking barefoot out on the sand is quite pleasant. Moonlight tours of the dunes are also highly recommended. 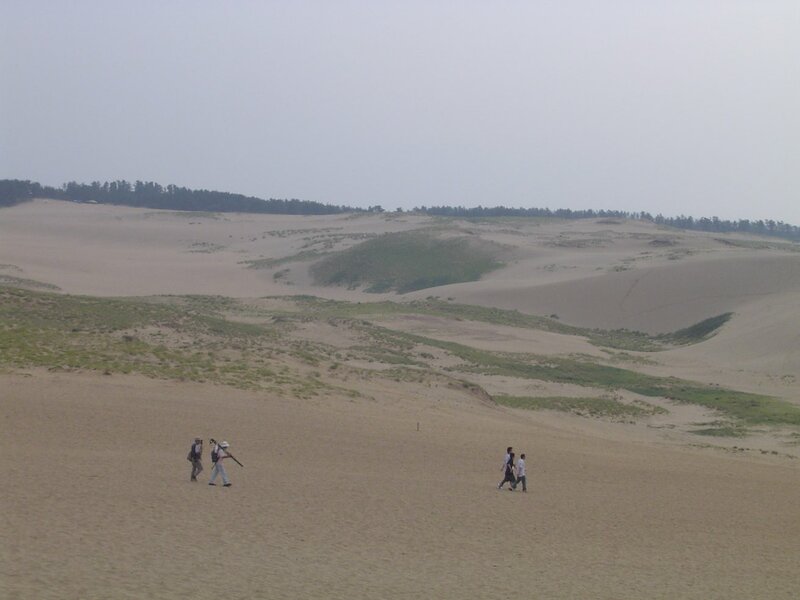 If you come with a large group then you can book a tour guide to show you around and give an explanation in Japanese of all the dune's features. The infamous activity of writing graffiti on the dunes has been a serious problem despite a hefty fine. Large explicit diagrams of female body parts have compromised the landscape more than once. Commercial messages have been scrawled across the dunes. The Ministry of the Environment gave one TV show a strongly worded warning. Other visitors have left cute pictures of pigs. Thankfully, it is all usually blown away by the next day and the drawing of unsavory graffiti is not an everyday occurrence. 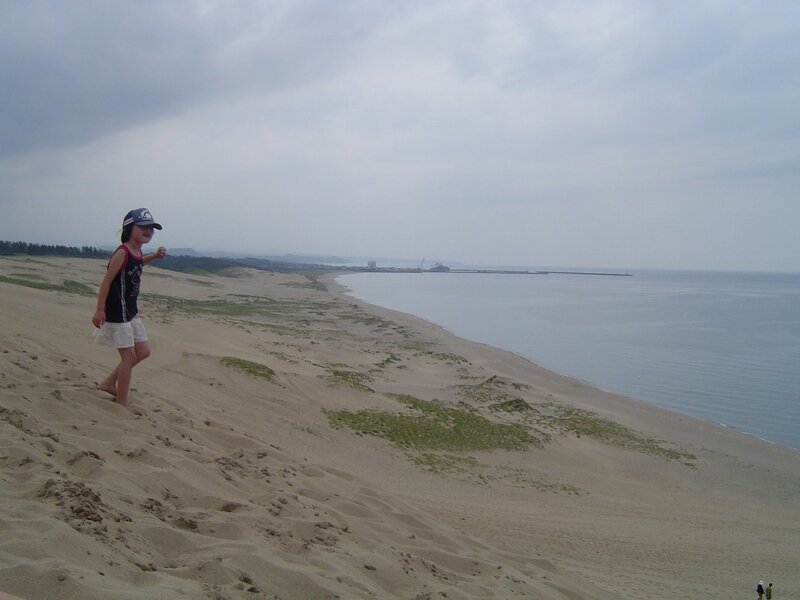 In 2011, a human arm bone was found in the dunes by a local resident making plant observations. Understandable, the police were called in and the area investigated. The search turned up bones from 4 people. The location, which was 1.5 km west of the main tourist area, was infrequently visited up to this point. It soon became clear this was not the work of some modern day serial killer. Instead, the bones appear to have buried from the end of the Edo Period to the beginning of the Meiji Period. Curiously, they were all buried facing west. The cause of death could not be determined and so the circumstances that led to their burial there remains a mystery. 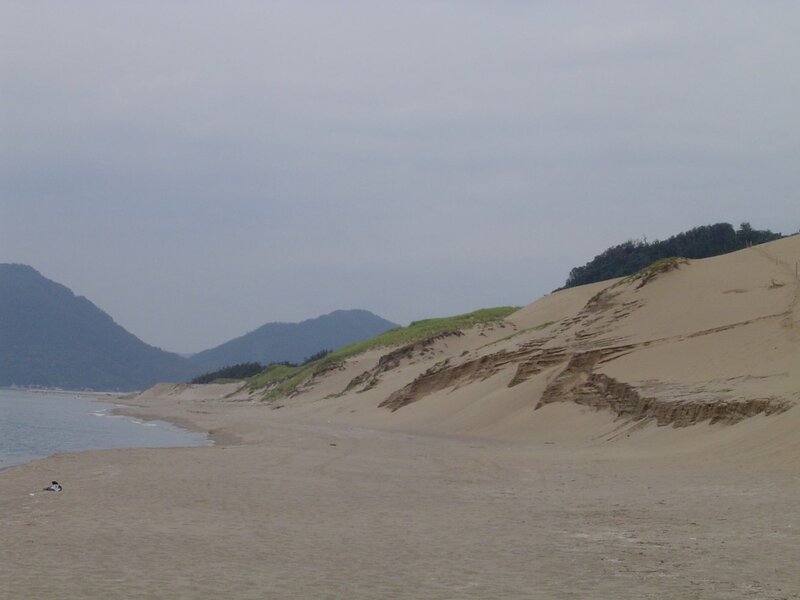 The dunes are located in Tottori Prefecture east of Tottori City. 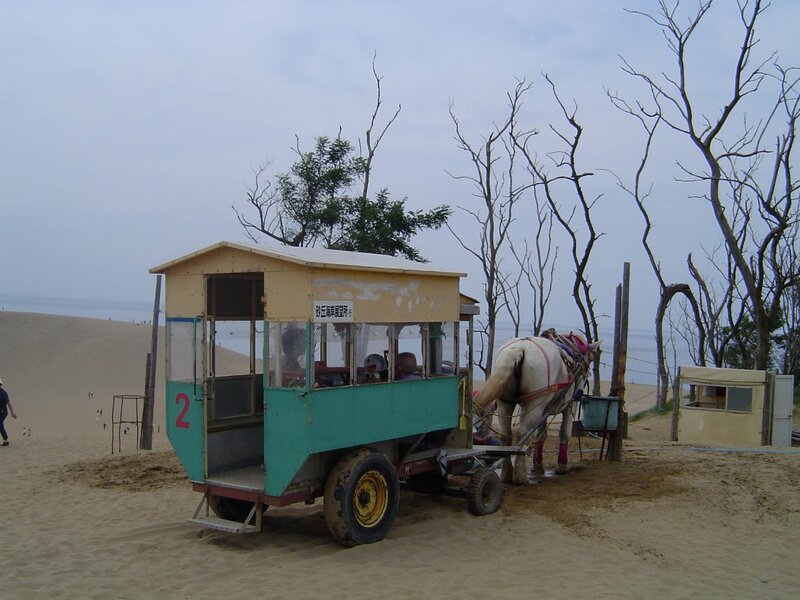 From JR Tottori Station, you can catch the city loop bus (砂丘コース - Sakyuu Course) which goes to the main dune area and back. There are two routes it follows. The shorter one (370 yen) takes around 20 minutes. 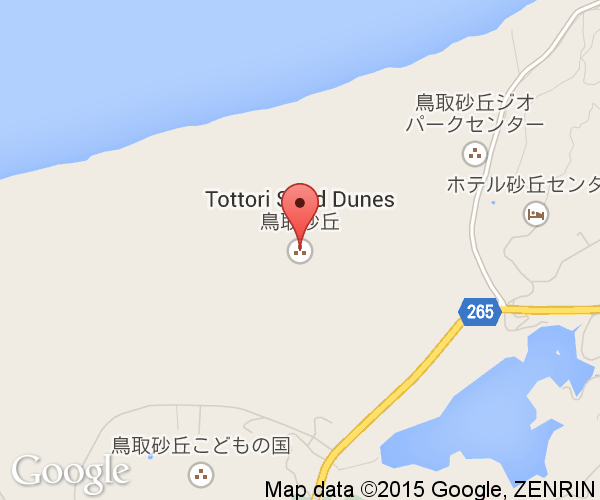 Tottori City can be reached via local trains or by highway buses from a number of different cities in Japan. There is also a small domestic airport west of the city. The area is best visited by car.